2 of 15: No description available. 3 of 15: There are wonderful sea views from the Living & Dining Room. 4 of 15: Lots of sunshine pours in through the windows to the North and the sliding patio doors which leads to the balcony on the East. 5 of 15: The dining table with a view out the balcony to the gorgeous Caribbean Sea. 6 of 15: The master bedroom is furnished with a king size bed. 7 of 15: There is a view of the Ocho Rios Bay from the king bedroom. 8 of 15: The master bedroom is serviced by an en suite bathroom with shower over tub. 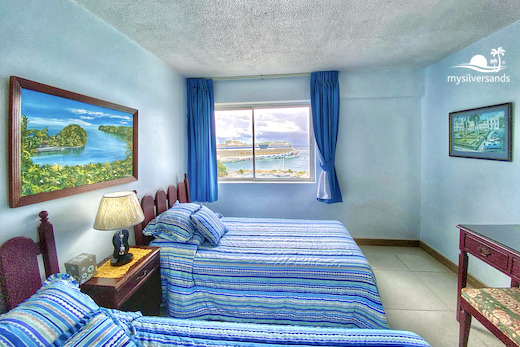 9 of 15: The second bedroom is furnished with twin beds and commands a panoramic view of the Caribbean Sea. 10 of 15: Bedroom 2 offers beautiful sea view through the window to the North. 11 of 15: The second bathroom services Bedroom 2 and is located just a few feet away. This bathroom is also accessible from the Living Room, without passing through the bedroom. It has a shower over bathtub. 12 of 15: The living room with flat screen television. 13 of 15: The kitchen is fully-equipped. 14 of 15: The Beach At Turtle Beach Towers, Ocho Rios, is just a few minutes walk through the property gate. Tower 1, in which Apt 1-10B is located, is on the left of this photo. 15 of 15: No description available. Apartment 1-10B is a two bedroom, two bathroom condo, located on the tenth floor of Tower 1 at Turtle Beach Towers, Ocho Rios, Jamaica. 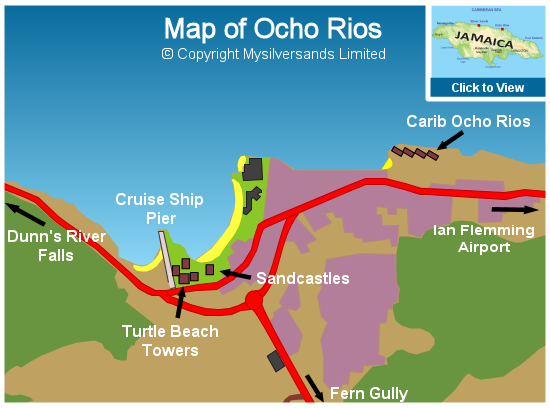 Turtle Beach Towers is a four tower condominium complex on the beautiful Ocho Rios Bay. 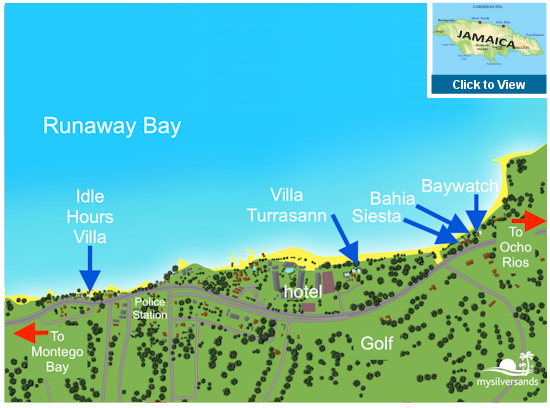 You will enjoy free access to the white sand crescent-shaped beach just a few steps away. The complex also features a large swimming pool. Turtle Beach Towers features a beautiful large communal swimming pool for residents and guests. The four towers stand in well-maintained grounds, landscaped with lots of lush tropical flora, on the Ocho Rios Bay, a stone's throw from the beach, gleaming white like a sliver of the Moon. 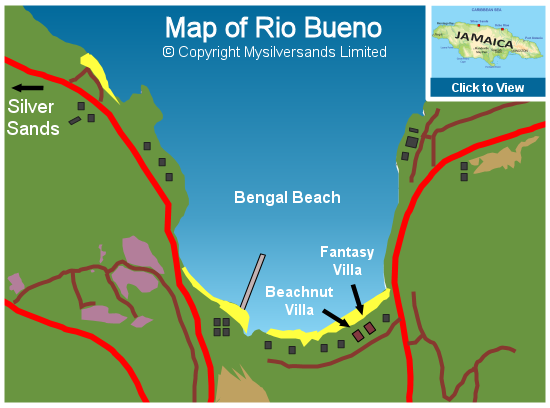 Apartment 1-10B is located in the North-East corner on the tenth floor of Block 1, the building closest to the Caribbean Sea. Free Wifi in the apartment. Panoramic view of the Caribbean Sea and the Ocho Rios Bay. Living room equipped with cable television, DVD player, and "boombox" stereo. Two sofas in the Living Room convert to single beds, suitable for children. Both Bathrooms with tub and shower. Cleaning service by housekeeper every day. No smoking within the apartment. Smoking is permitted on the balcony with the living room doors and kitchen window closed. 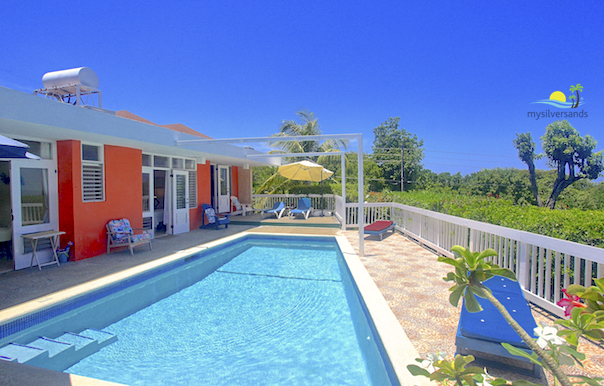 1-10B, Turtle Beach Towers, Ocho Rios costs from $142.00 per night. 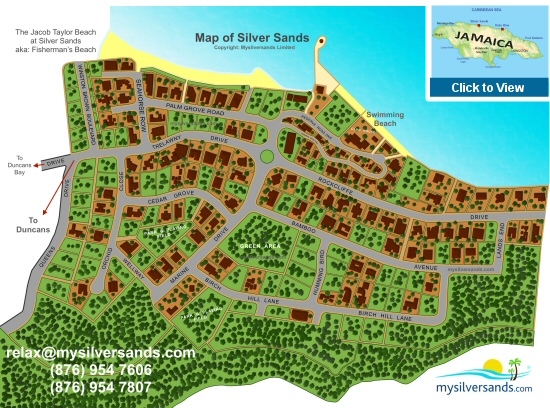 Mysilversands Limited Terms and Conditions for vacation rental Apartments and Condos in Jamaica. Terms and Conditions for other accommodations in other locations vary. Rates include all Jamaican taxes, staff salaries, laundry of accommodation linen and towels, cost of water and electricity, cleaning and household supplies. 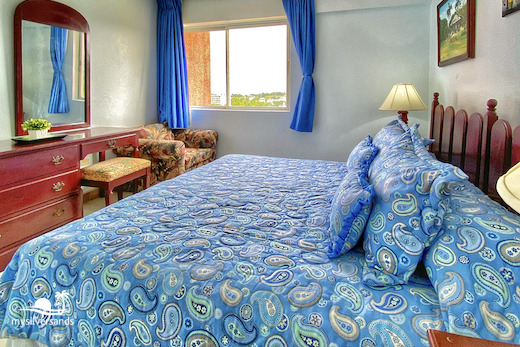 The accommodation is fully furnished and equipped with linen, bath towels, dishes, utensils, soaps and tissue paper. 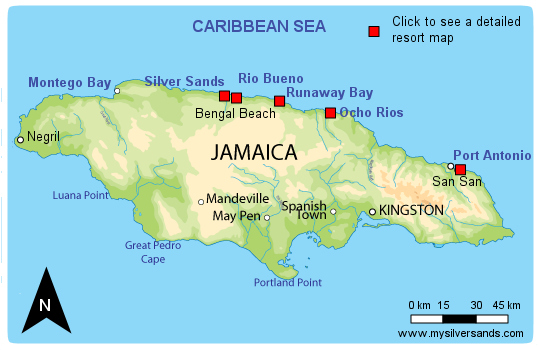 Rates do not include any insurance, flights, airport charges, car rental, transportation (except where one set of Airport Transfers to and from Montego Bay are included free with the accommodation), baggage handling, staff gratuities, telephone charges, food, beverages, liquor, personal items and expenses, personal laundry, dry cleaning, or baby-sitting. 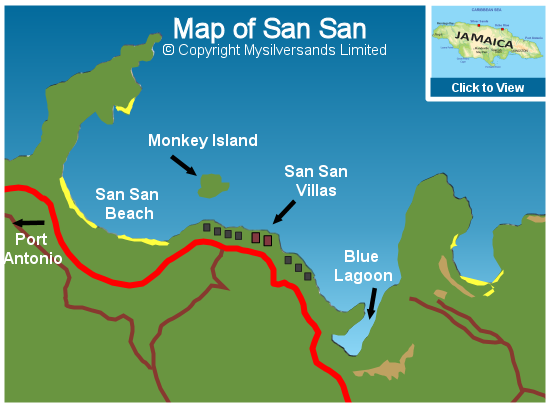 The prices for accommodation are displayed on the Mysilversands website: if you enter your arrival and departure dates and number of bedrooms required (based on two persons per bedroom), you will be shown the exact price for your stay; if you do not enter this information, you will be shown a range of prices per night. All accommodation is priced by the night.